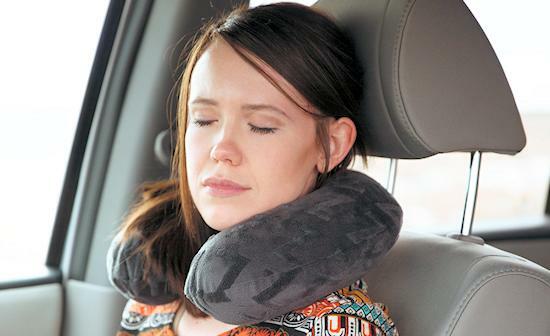 The cooling travel neck pillow measures 11 x 12 x 4 inches and uses gel infused memory foam along with a liquid gel top and a removable, soft bamboo cover. It is comforting and adds an extra measure of cooling for recovering from neck injuries or keeping cool in hot weather when you travel or just want to relax in your favorite recliner for relaxation or even sleeping. The design ensures ergonomic support for the head, neck and shoulders in supportive, gel foam with a liquid cooling layer to capture and dissipating heat. 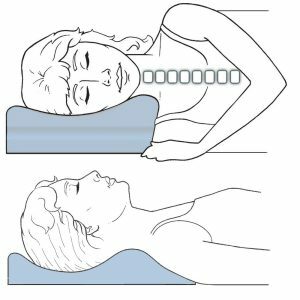 This allows a cooler surface for the back of the head and neck. The cooling travel neck pillow combines two cooling technologies in one ergonomically shaped pillow that will keep your head, neck and shoulders cooler and more comfortable in a vehicle or just relaxing at home. 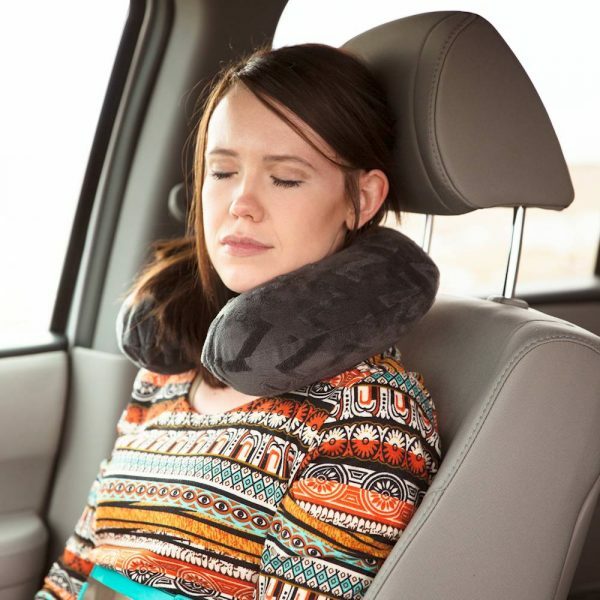 The cooling travel neck pillow measures 11 x 12 x 4 inches and uses gel infused memory foam along with a liquid gel top and a removable, soft bamboo cover. 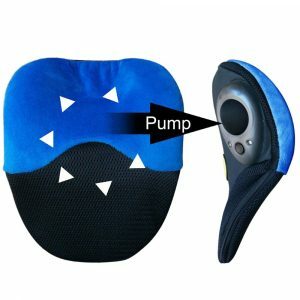 It provides slightly firmer support than the aromatherapy u-shaped pillows, yet is still comforting and adds an extra measure of cooling for recovering from neck injuries or keeping cool in hot weather when you travel or just want to relax in your favorite recliner for relaxation or even sleeping. The design ensures that your travel pillow will ergonomically support head, neck and shoulders in supportive, gel infused memory foam with a liquid gel cooling layer on top of the pillow that uses the special properties of memory foam which aids in capturing and dissipating heat. 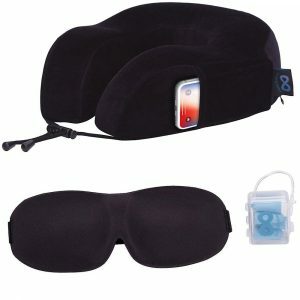 This allows a cooler surface for the back of the head and neck. Ensuring comfort and coolness, the pillow uses a soft, skin friendly and breathable bamboo cover that is zippered and washable. 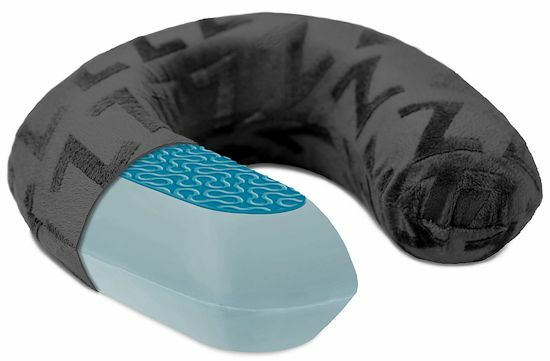 The formula for a supportive, responsive and cooling travel neck pillow begins with an infused gel memory foam that is softer and cooler than standard memory foam, and combine it with liquid gel on the area that come in contact with the head, neck and shoulders. 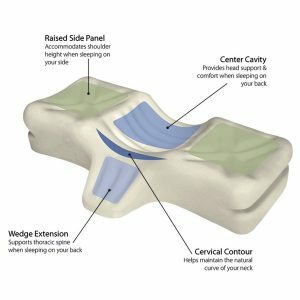 A great combination of the latest technologies in pillow science to produce a unique and quality pillow that is made to last with a 5 year warranty! The gel infused memory foam offers both pressure relief and temperature regulation to ensure a superior quality neck pillow by providing a support that is more reactive than traditional type memory foam. Memory foam cell structure collapses from heat and pressure, and this is when the infused gel beads go to work by giving extra support from the collapsed cells, while at the same time, dispersing heat that builds up with traditional memory foam. 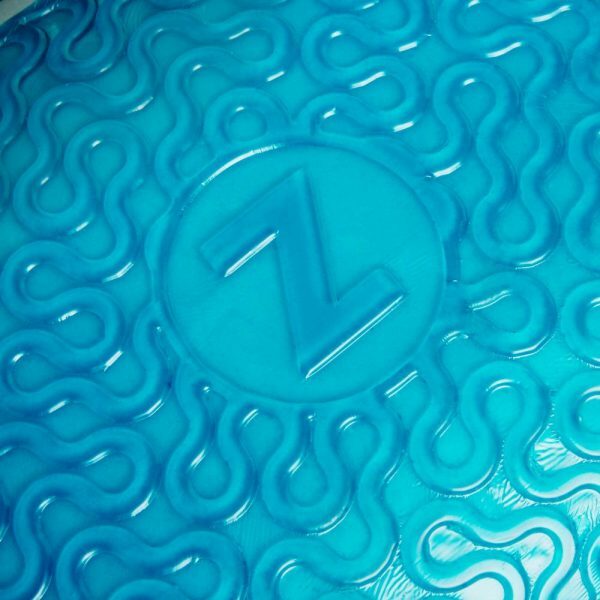 The liquid gel surface offers a pillow that goes that extra mile to ensure you stay cool and comfortable when travelling on a plane, car or anywhere you need cooling support, even at home. The cooling support is great for those arthritis flare-ups, hot days and nights, in crowded planes, trains and buses. It also helps to dampen road vibrations that can aggravate inflamed and stiff neck joints. 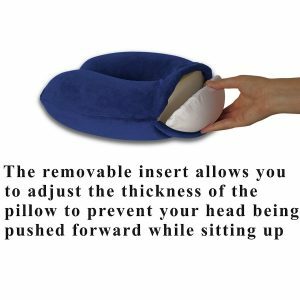 Using quality materials in an open cell memory foam structure that is molded to perfection produces a supportive neck pillow that is more supportive, responsive, and employs a slow time of recovery. This gives the pillow unique conforming and pressure relieving qualities as well as temperature regulation. This is a great attempt to alleviate the heat build up that so many pillows that wrap around the neck have. It cannot be totally eliminated, even with fiber based neck pillows, but this is as good as it gets. The nature of having a pillow hug your neck so closely produces heat. Anyone who sleeps using these neck pillows is aware of this problem. However, using a unique blend of gel infusion and liquid gel surfacing, the pain relief qualities of memory foam can be realized, while minimizing heat build up. 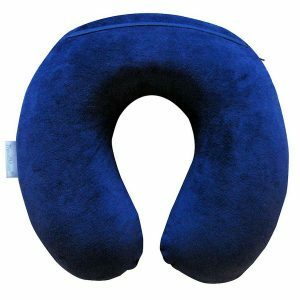 Additionally, the cooling travel neck pillow uses a cover that is soft, breathable and without harsh chemicals helps reduce skin irritation.